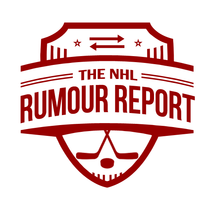 NHL Rumour Report - NHL Trade Rumours and Speculation: What's next for Patrick Marleau and Joe Thornton? The Montreal Canadiens are believed to have inquired on Marleau in the summer, at least before signing Alex Semin. Semin hasn't exactly been a fit, meaning the Habs are on the lookout for winger depth yet again. Would they take another try at Marleau? The St. Louis Blues have been linked to Marleau at times, and it would certainly make sense given their inexperience and depth issues on the wing. Some believe the Ottawa Senators have at least kicked tires on the veteran winger, and trading Marleau out of the Western Conference would certainly appeal to the Sharks. But would Marleau waive to go to Ottawa? It might depend on where the Senators sit in the standings closer to the deadline. Some wonder whether Marleau's departure might encourage veteran center Joe Thornton to do the same. 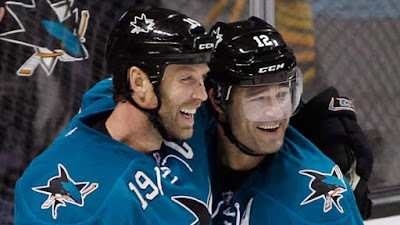 The two have been close friends and teammates for years, and Thornton might welcome a change of scenery if the Sharks fall out of the playoff picture. Some wonder if Thornton would, like Marleau, be the perfect fit in Nashville. Photo credits: CBC and CSN Bay Area, respectively.